The national park Dalby Söderskog consists of a dense, ancient deciduous forest. It is located on the edge of the small town Dalby, about 10 kilometers southeast of Lund. 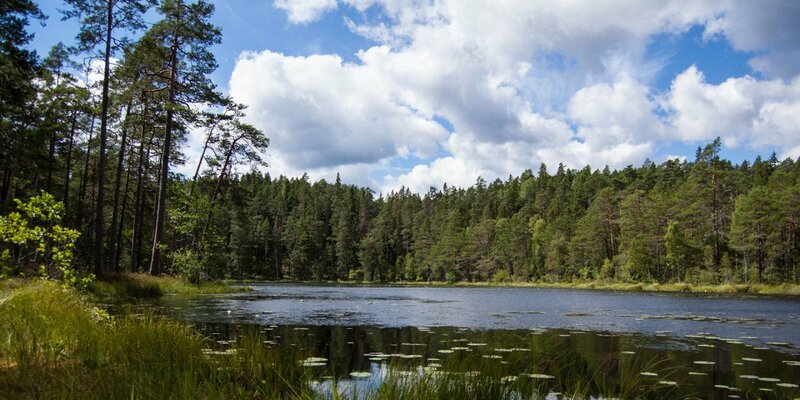 Dalby Söderskog is not only the smallest of the three national parks in the southern Swedish county Skåne Län, besides Stenshuvud and Söderåsen, but with an area of only 36 hectares also the smallest national park in all of Sweden. 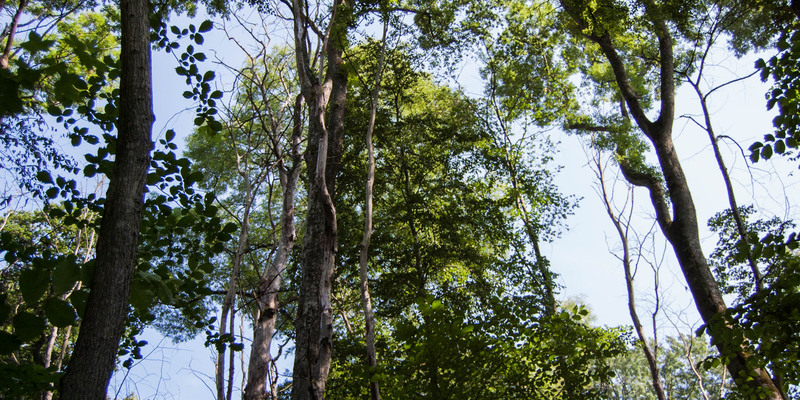 Since the founding of the national park in 1918, it has almost turned back into the original form of a deciduous forest which has been untouched by mankind, just as it was found in Skåne many centuries ago. It consists mainly of very old oaks, beeches, ashes and elms, with the elms increasingly becoming victims of the elm disease and dying for several year. In many places in the national park, you can find the bleached stems of the dead elm trees. The sunlight reaches the forest floor through these gaps all year round and new ashes usually close the gaps quickly. Dead and fallen trees are not removed and serve as a habitat for a variety of mosses, lichens and insects. Woodpeckers find plenty of food in the deadwood and hack their breeding caves into the mighty tree trunks. When the woodpeckers leave, other cave-nesting birds or squirrels are gladly inhabite the holes. In the spring, especially in the period from the end of April to the beginning of May, when the trees still have no foliage and the sun's warming rays reach down to the forest floor, the national park shines in a colorful flowering sea of yellow and white wood anemone (Anemone nemorosa), various Corydalis and Orchis. To explore the National Park three marked trails are available. The shortest is the 600-meter-long circular path Bökebackeslingang, with fine gravel and accessible for wheelchairs. 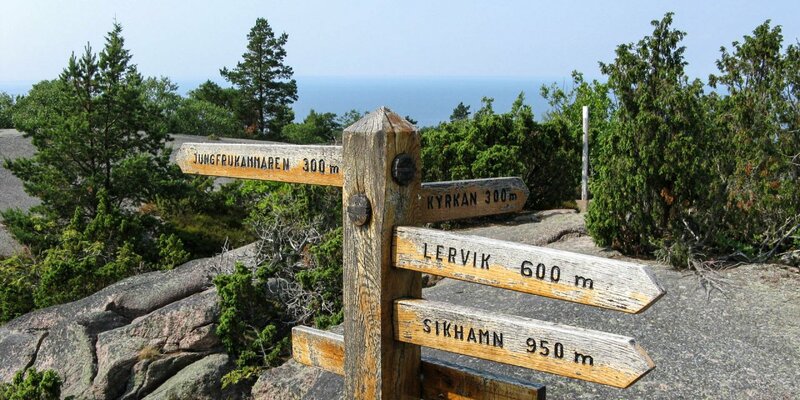 If you would like to go through all areas of the park, choose the 2.3 kilometer long circular route Kroppekärsrundan. 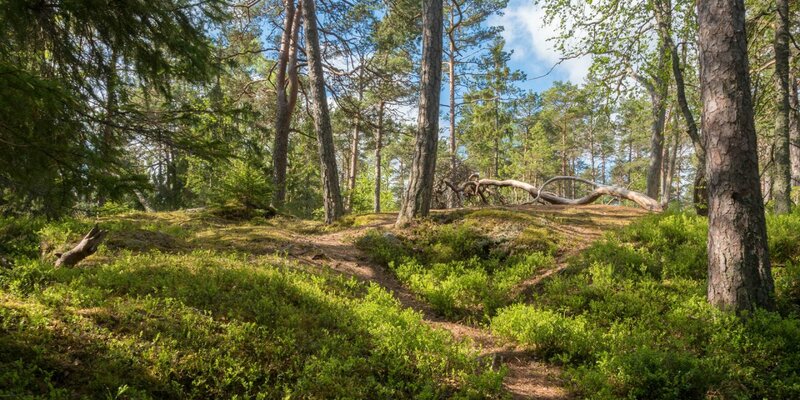 The third option is the 3.5 km long Skryllestigen, which is not a circular route, but leads through the national park and then through the adjacent nature reserve Dalby Norreskog to the Naturum in the recreational area and nature reserve Skrylle.